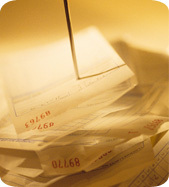 Get a handle on billing issues at the outset. First, send out invoices in a timely manner. Invoices are more likely to be paid when the value of your services is still fresh in mind. The earlier an invoice goes out, the earlier it will get paid. Second, if your client has certain requirements or guidelines for processing payment, find out what they are upfront (this can be particularly important for companies requiring the electronic submission of invoices, which is becoming more prevalent). Third, provide clear explanations of the work performed and, if the invoice is likely to draw complaints for being out of line with estimated costs, a phone call to the client with an explanation before the invoice goes out can help eliminate surprises. Many companies have a 30- or 45-day payment policy. Consider having the client agree to a shorter time frame. This is especially important when the client is experiencing financial difficulties. Whether or not your client is facing financial difficulties, when your work is expected to take several months, you should have your client agree to progress billing. The shorter the period covered by the billing, the better. But be prepared to stop work if bills are not paid on time. When your client is weak financially, consider an advance retainer agreement. Once the invoice is out and becomes overdue, follow up regularly. Don’t just send a balance overdue notice. Speak directly with your client and try to get an explanation for any significant outstanding balance, which may provide some guidance as to how concerned you need to be. Also, it is more difficult to avoid a personal phone call than a standard form letter. Consider setting reserves for any anticipated uncollectible amounts. This is an art, not a science, and the amount reserved may depend on the client’s financial condition, payment history, whether any amounts are disputed and myriad other factors. Also consider setting an across-the-board reserve for all receivables based on collections history. For example, if in any given year the firm is unable to collect 3% of total billings, consider reserving 3% of total receivables. Throughout the engagement, keep a lookout for red flags that payment problems may be ahead. Is the client hinting at financial difficulty, complaining about work product or more aggressively demanding that your firm adhere to a budget? Did the firm’s large corporate client recently submit a Form 8-K with the SEC stating that it is unable to make a large loan payment coming due? If a client is in jeopardy of declaring bankruptcy, consider timing issues. For example, payments made 90 days before the bankruptcy filing are typically considered preferential payments (or preferences) and, subject to certain exceptions, the bankruptcy trustee may sue your firm for repayment. If your firm holds a retainer, consider when it’s best to apply it to any outstanding balance. Also determine whether any significant engagement milestones are approaching, such as a deadline for an audit report. And then consider whether your firm should stop work or at least inform the client that you will need to do so if an outstanding balance is not brought current. When disputes elevate to the level of client dissatisfaction or where there is even the possibility of such elevation, consider having a colleague sit in on meetings or calls with the client to discuss overdue fees. Some firms have a designated workout partner who fills such a role, or it may be done on an ad hoc basis. Either way, that colleague can help diffuse difficult situations, represent the “firm’s” position and oftentimes mediate a beneficial resolution. If litigation ever develops, it may be helpful to have a second person as a witness to conversations with the client. As part of the collections process, clients may request discounts. If the discount is based on dissatisfaction with service, consider obtaining a release of liability in connection with any reduction in fees. Restructuring payment terms is a frequent request by clients in economic dire straits. If the firm and client agree to new payment terms or the scope of the engagement is revised due to budget issues, it is advisable to document these new details in an amended engagement letter or agreement. If legal action becomes necessary, weigh the pros and cons. A common response to many collection lawsuits is a counterclaim accusing the CPA of malpractice. This brings additional costs and expenses. Careful consideration must be given before suing a client, who is soon to be (if not already) a former client. If legal action is required, be sure to review the engagement agreement. This is, in essence, the contract on which the firm would be suing. For example, does the engagement letter provide for the recovery of attorneys’ fees, are fee disputes subject to arbitration, and is the firm entitled to interest on unpaid amounts? These answers may dictate whether legal action makes sense. Also consider with your legal counsel whether to include such clauses in engagement letters. Keep in mind that, if you perform services requiring independence, unpaid bills, for example, from a prior year’s audit would make your firm not independent to perform the next year’s audit. Communication is one of the keys to collection. Keep clients informed and address any potential collection problems upfront. This may be the easiest way to prevent them from becoming actual collection problems. by Jason M. Rosenthal, Esq.